A memory upgrade is one of the easiest and most affordable ways to improve the performance of your system. While incredibly easy to upgrade and install, it’s paramount to check compatibility when purchasing a memory upgrade. For memory to work on your system, it must be compatible with your motherboard. We’ll show you how to get RAM that your motherboard will support. Find out other ways to fix a slow computer here. SDR (single data rate) technology primarily appeared in systems manufactured before 2002. DDR (double data rate) technology began to appear in systems manufactured in 2002. DDR2 (second generation double data rate) technology began to appear in 2004. DDR3 technology began to appear in 2007. DDR4 technology began to appear in 2014. 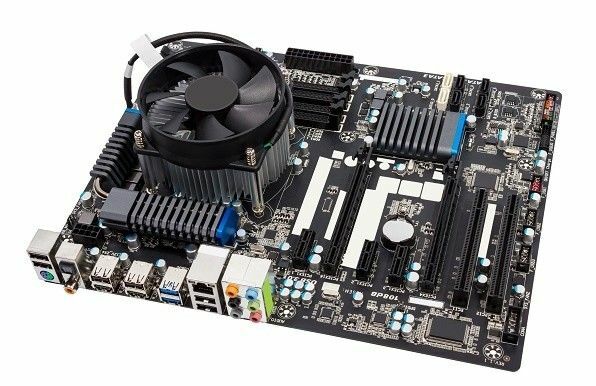 The motherboard is the circuit board on which the processor, memory modules, storage (SSD or hard drive), and other components are located. As a rule, each generation of memory technology has faster frequencies, runs on lower voltage, and boasts lower latencies than the generation of technology it succeeds. However, if your system was designed for DDR2 technology, it won’t be able to support DDR3 modules. Find out more about DDR2 and DDR 3 technology here. Because each type of memory has different notch locations (which are important for installation), and motherboards have ridges that accommodate only one notch location, motherboards are generally able to support only one type of memory technology. Read our RAM buying guide. With so many variations in memory, it’s important to know which type will work in your system. That’s where our easy-to-use compatibility tools come into play. The Crucial® System Scanner is a downloadable tool that makes finding compatibility memory effortless. This tool analyzes your PC’s configuration and automatically recommends a list of compatible upgrades in a matter of seconds. Use this tool if you don’t know your system’s specs. The Crucial Advisor™ is a tool that provides a list of compatible upgrades for your system after you’ve provided information on your system’s manufacturer, make, and model. Use this tool if you know your system’s specs. When you use either of our compatibility tools, we’ll do the compatibility research for you, and we guarantee compatibility when you order on Crucial.com – or your money back. Crucial memory is designed to work in more than 100,000 systems, and we rely on our extensive compatibility database to ensure that you get memory that works in your system. We make finding compatible memory easy!